Sage & Seed is an on-campus, student-operated restaurant that provides LCCC Culinary Arts students with an opportunity to refine their classroom culinary training as they learn the skills necessary to operate in a commercial kitchen through live food preparation and waiting of tables in the on-campus restaurant. 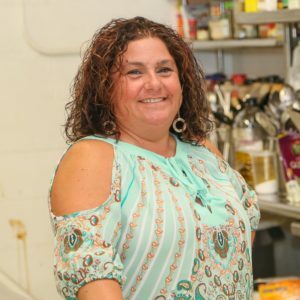 After earning her certificate of culinary arts in 2015, Nicole Spearman, 44, now owns her own catering company in Elyria. Learn more about Nicole and her story. LCCC is a great place to start. You can complete the first years of your education at LCCC at our lower tuition rate and then transfer your credits to another college or university to earn a bachelor’s or master’s degree. Learn more about how to transfer LCCC credits to another college or university. You don’t have to wait to graduate from high school to start earning college credit. The College Credit Plus program offers you an opportunity to earn college credit as early as seventh grade. Courses are frequently offered on-site at local high schools. Students may also have the option of taking LCCC classes online or on our campus. Classes taken through CCP count for both high school and college credit and are FREE for most students. The MyUniversity program, a unique partnership between LCCC and area high schools, provides a pathway for high school students to the full college experience – starting in high school! Learn more about earning college credit in high school.